Pressure relieving foam that molds to each individuals body providing support and comfort. 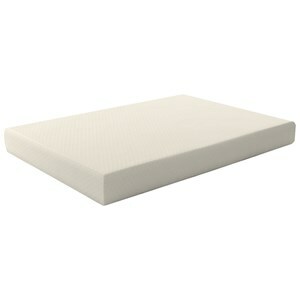 Memory foam holds it shape and lasts longer than conventional foam. 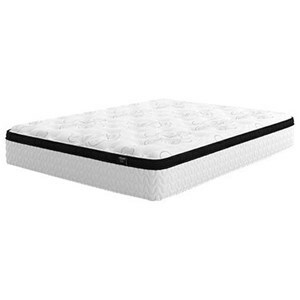 The M676 Santa Fe Plush King 15" Plush Pocketed Coil Mattress by Sierra Sleep at Lapeer Furniture & Mattress Center in the Flint, Michigan area. Product availability may vary. Contact us for the most current availability on this product. 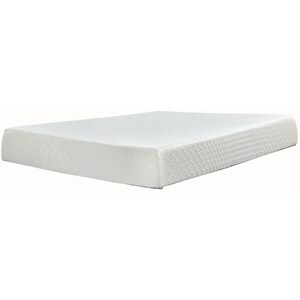 The Santa Fe Plush Mattress puts thick layers of plush foam together with a thick layer of high density Memory Foam, to create a soft yet supportive mattress. Individually wrapped coils adjust to your body supporting your every curve. A very good bed for a guest bedroom or a starter home. Good for a back or side sleeper. The M676 Santa Fe Plush collection is a great option if you are looking for Mattresses in the Flint, Michigan area. Browse other items in the M676 Santa Fe Plush collection from Lapeer Furniture & Mattress Center in the Flint, Michigan area.